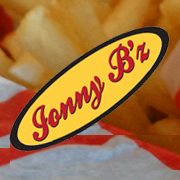 As a vegan, hot dog joints aren’t usually a thing, but Jonny B’z fixes that. Located on Wealthy Street in East Hills, Jonny B’z renovated an old auto garage which just adds to its charm. It’s a great place any time of day but is also open late; until midnight Monday through Wednesday, 3 am Thursday through Saturday, and 10 pm on Sundays, making this one of the few places in town offering vegan eats for that late night snack attack. Almost anything on the menu can be ordered vegan, including the curry corn dog. Toppings for the hot dogs are pretty typical. What makes this special though is that there’s a vegan chili made in-house, and it’s awesome. You can also get toppings like coleslaw, which is really, really good. Hot dog aside…. the buns! Jonny B’z grills their hot dog buns like no place else. They’re made by a local bakery and then grilled flat on all three sides making them square, and perfect for standing up on your plate, keeping the toppings safely in place. There’s also a black bean burger and jackfruit pulled pork sandwich (make sure to order it with the vegan bun). They offer a separate fryer for the french fries, and you can get them loaded up like nachos with jackfruit pulled “pork.” Everything vegan – or veganizable – is marked on the menu with a triangle. The servers are also super knowledgeable. Jonny B’z also serves beer, wine, and cocktails and offers a great patio for hanging outside in the warmer months.